The Quarterly Economic Survey is the UK’s largest business survey of its kind and a highly respected snapshot of trading and economic conditions. Forming part of the British Chamber of Commerce’s national survey, the QES, is the principal national business survey and the first to be published in each quarter. Its results are closely watched by both the Bank of England’s Monetary Policy Committee and the treasury. 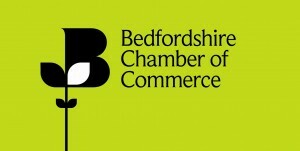 The data reveals a timely and accurate snapshot for the economic climate for businesses in Bedfordshire and beyond. We want to ensure that Bedfordshire is fully represented in the final figures which is why we need your help. It’s easy to take part, simply take the survey HERE and as a thank you we will enter you into a draw to win an iPad mini.